Here comes the long-awaited matcha ice cream made without an icecream maker finally. All you need is to mix 3 or 4 ingredients together well. 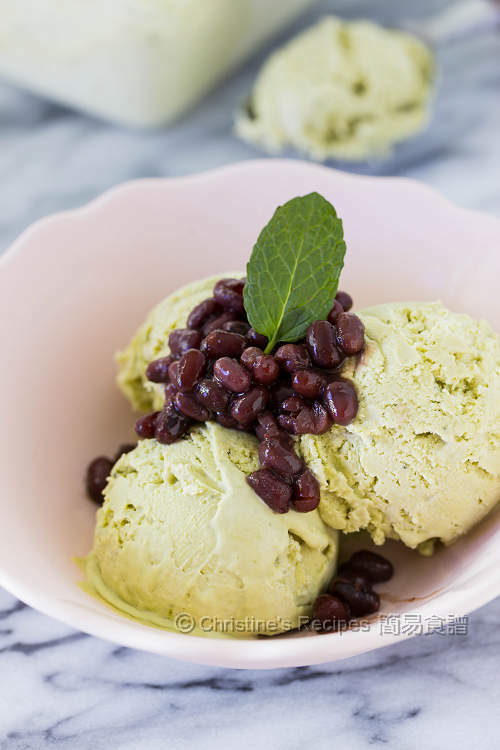 After a few hours of freezing, you can enjoy scoops of delicious matcha ice cream. I’ve added some homemade sweetened red beans (aka adzuki beans) on top. Needless to say, the quality of matcha powder is very crucial. Luck me, the matcha powder I bought from my last trip in Japan hasn’t been expired yet. It’s so good to make this delicious cold snack for boosting my spirit up whenever I crave for something sweet. Both of the green colour and creamy texture make you feel refreshing indeed. Enjoy, everyone! Combine matcha powder with hot milk well. With a spoon, press through a fine sieve. Set aside. Pour the whipping cream into the cold mixing bowl. Use low speed to beat for 1 minute. Increase to medium high speed and beat until soft peaks form. Fold into the matcha and condensed milk mixture in three batches until well combined. Transfer into an airtight container. Cover and freeze for at least 6 hours or overnight. Serve with sweetened red beans as desired. 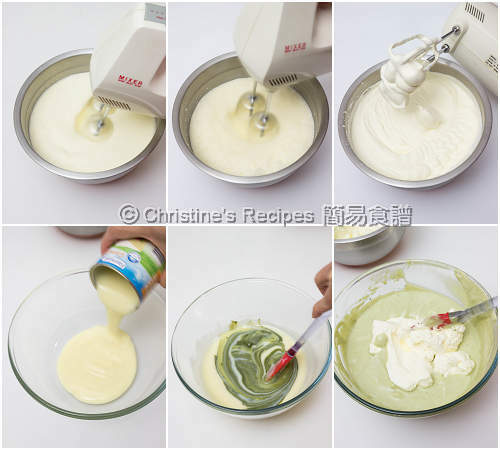 To get the best texture and flavour, try to get quality whipping cream and matcha powder. By chilling the mixing utensils, you can keep the whipping cream nice and cold along the way of whisking. If the weather is too hot, you may place the mixing bowl on some ice-cubes while beating. 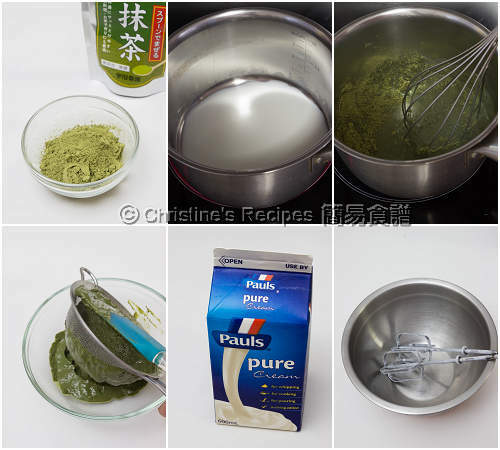 You may directly sprinkle and mix in the matcha powder into the cream and condensed milk mixture if your matcha powder is fine enough or you don’t bother some small matcha granules inside. Other no-churn ice cream recipes you might like: Vanilla and Coffee. Exactly. Hope you like it as much as we do if you make this ice cream. It's pretty simple to make sweetened red beans. I just cooked 1 part of red beans with 3 parts of water in a heavy based pot until the red beans are softened enough. Just before the water is reduced to one-third, I added some sugar. That's it. Note that if you soak the red beans in water overnight before cooking, it'll shorten the cooking time. It looks really great served with red beans. Hi, may I ask if we can make this without condensed milk since we prefer our ice cream to be less sweet? If so, what should we substitute condensed milk with? Or would we need to adjust the amount of other ingredients? Thanks in advance. You can't skip the condensed milk for making ice-cream with this recipe. You may decrease a bit to your preferred sweetness. So happy that I can make an.ice-cream without a machine. I have tried the receipe today, it was tasty. Just after freezing it for 4 hours, the green tea mixture sank at the bottom and there was a separate layer which was white. why was it? Was thst the cream.was not.whisked enough? I didn't use an electronic tool but hand-mixed. Glad you like the taste. Guess that the cream was not whipped enough. Or the green tea mixture was not folded in properly so it sank to the bottom. Be sure to mix all the ingredients well by scrapping from the bottom up to the surface. Hi Christine, I have tried the coffee ice-cream and it tasted really good. 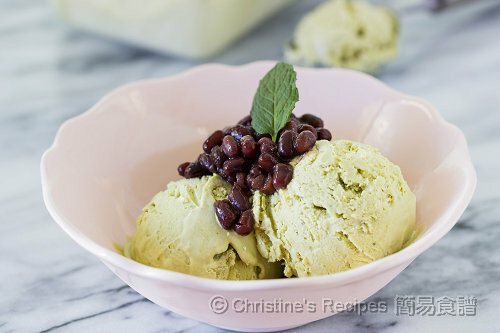 Would you be able to come up with a recipe for red bean ice-cream? Thanks. May I ask why did my whipping cream turn into water after so long whisking ? Whipping cream will be separated if beating too long. Hi, Thanks for your sharing your recipe. 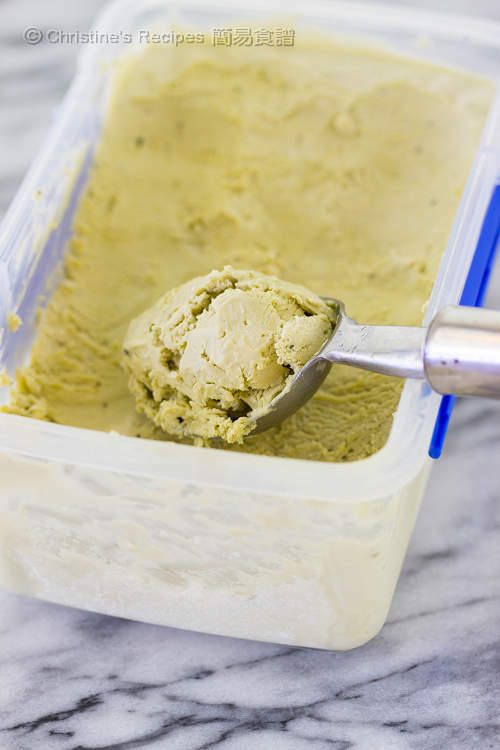 I have tried making matcha ice cream before but now using your measurement but the same types of ingredients and I felt that the creamy taste too strong. The texture is very nice but just that the creamy taste from the whipping cream too strong. How can I reduce the creamy taste but maintaining the creamy texture. Is it due to the whipping cream brand used? The creaminess is the texture created by the condensed milk and the thickened cream. You might experiment with less-fat cream or reduce the amount of the condensed milk. May I ask is your whipping cream diary or non diary? Any difference? The whipping cream I used was diary product. You may use non-diary though.